We are helping companies to business-specific custom sharepoint solutions to fine-tuning present software system. SharePoint is a core software product to a large number of businesses and corporations. With that growth, Enaviya expands the need to develop world class solutions in addition to upgrading, extending, supporting and maintaining these applications. As the recognition of Microsoft Office 365 and SharePoint Online growing every day, developers will find themselves being asked to create custom solutions more often. Web parts are one good way to delivering reusable solutions that empower users. 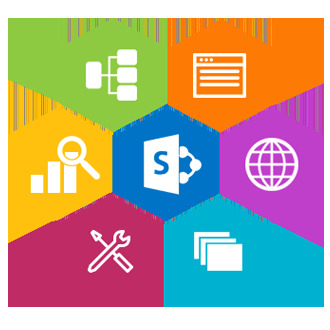 SharePoint comes with several web parts that meet many basic needs, including the List View, List Form and Content Editor Web parts, as well as more advanced web parts like the XSLT List View or Silverlight web parts. Enaviya's recognition is acquired by providing enriched services to our customers. With Custom SharePoint Development solution, Enaviya's technical savvy team helps to the businesses to manage its data, applications, and information with reduced effort and greater efficiency. Increased employee engagement, centralized process management, and the ability to share and capture knowledge.